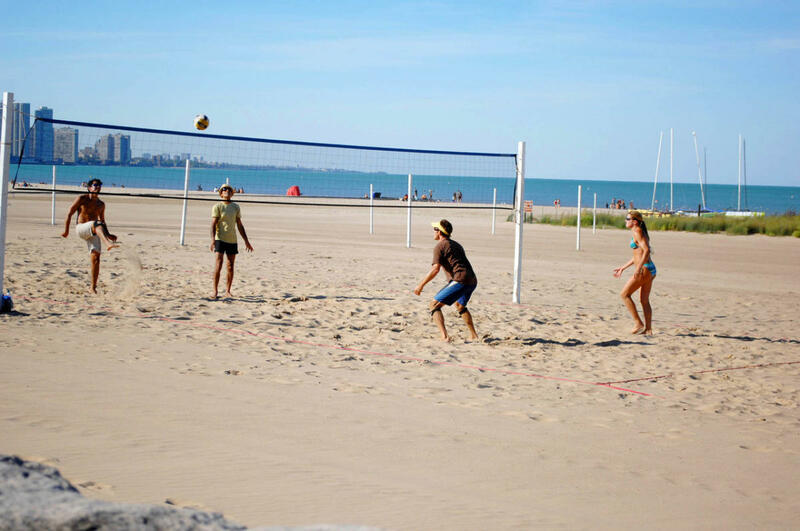 4400 N. Lake Shore Dr.
Chicago's largest public beach, this popular Uptown neighborhood beach located in Lincoln Park offers patrons many amenities. South of the recreational beach, a natural area attracts many migratory birds during the fall and spring seasons. A serene dune area hosts a rare “panne” habitat — a flat, wet and open sandy area — for birds. Endangered plant life thrives at this location.